Your door lock plays a major role on your family’s security, the high quality door itself would not matter if the lock can easily be opened or detached. That is why it is highly important to use not only a suitable lock for your door or a lock that would enhance your door’s appearance but also a top rated one to ensure maximum security and peace of mind. – Choose a lock that has at least one-inch long dead bolt and one that has reinforced metal box strike to ensure maximum security and attachment. 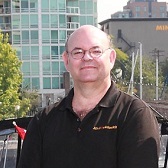 – Choose a lock that has at least three inches long screws to prevent easy loose and detachment. – Choose a dead bolt lock instead of a regular key doorknob because even using a credit card can easily open it. 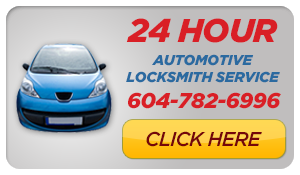 – Choose and install the same kind of lock in every door that directly leads outside the house. My Favorite Deadbolt to be installed in the home is the Schlage Deadbolt with Door Reinforcer (makes the door 2 times harder to kick in) and Door frame reinforced strike plate with three (3) inch screws into the door frame. Schlage B660 Deadbolt – This is a Commercial / Residential deadbolt lock that comes with strong strike plate. It is proven to endure any kind of assault such as kicking and picking. 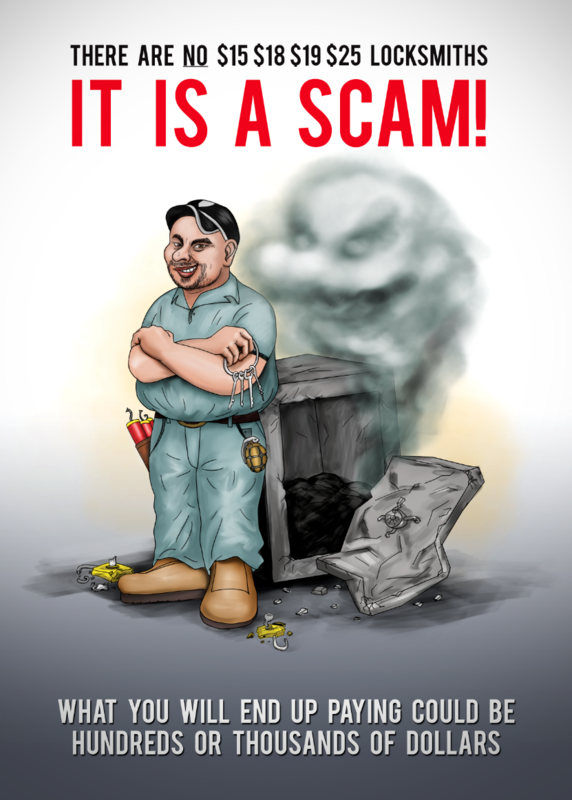 It has absolutely the finest quality with regard to home security and business. 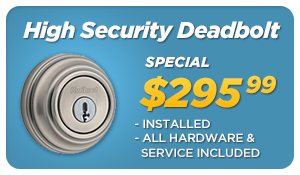 Schlage Primus High Security Deadbolt – This is a best example of a high security lock and it incredibly passed all the assault tests including kicking, picking, and even drilling. It certainly defines security at its best. 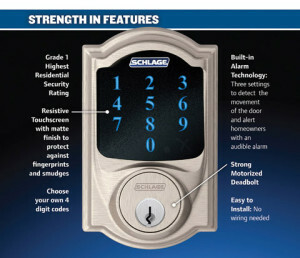 My Favorite New Schlage touch screen deadbolt. 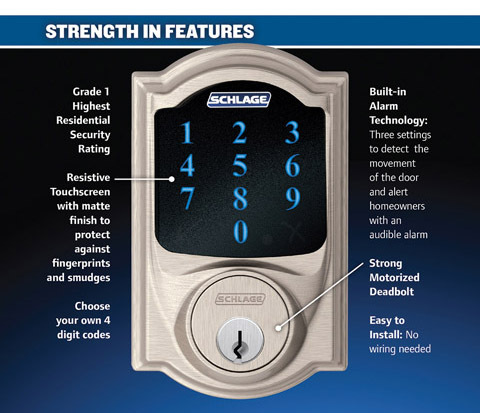 Schlage Touchscreen – This is an example of a top rated connected door lock and it passed a series of assaults including kicking and picking. 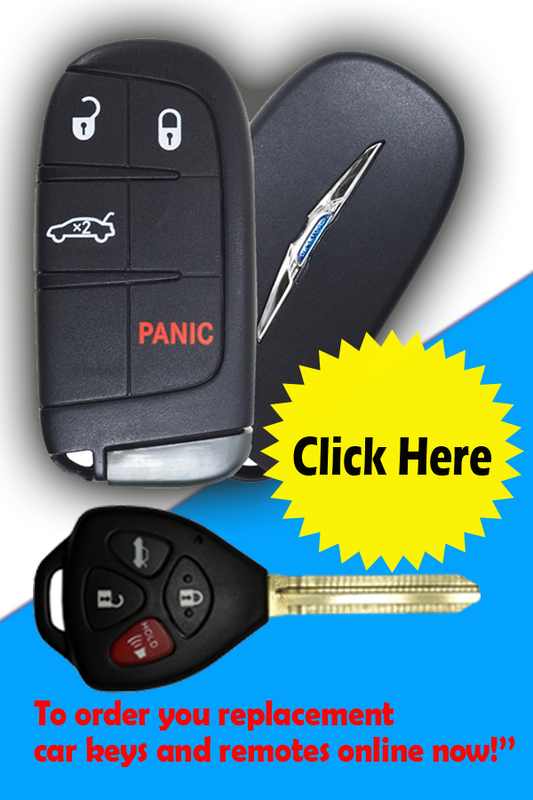 Those are just some of the top rated door locks that are great addition to your selection. There is also a door lock called double cylinder dead bolt, which requires a key whenever opening or locking it. It definitely enhances the security system of your house and majority of homeowners love it because burglars have no choice but to break in, which would surely cause alarm. However, some buildings and residential condominiums banned this type of door lock because it might also give you a difficult time to go out if an emergency happens since you need to use a key to successfully open it. You can still use this type of door lock if you wish but make sure to check if it is allowed on your area and you also need to put an extra key near the door so you can easily get it whenever you need to go out. My top rated door locks are an investment for your house and family’s security.